We’ve been busy henching away, and are happy to announce that the first issue of “I, Henchbot” will be in stores in January! Some of you were kind enough to pick up a copy of our convention version of the first issue from us this summer, we have the first three issues wrapped now and are excited to be in stores after the holidays. 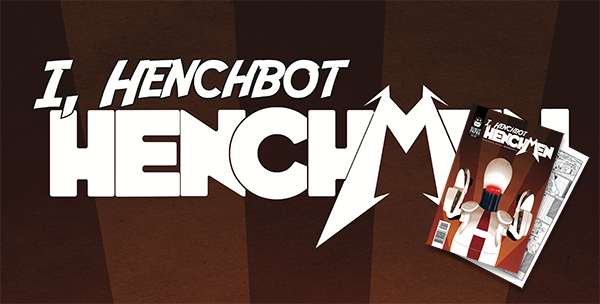 For longtime friends, fans, and site visitors, we are offering pre-orders for I Henchbot number one right here. If you’d like to get a copy straight from the source you can order below or at this link. If you’d rather pick up your copy when it hits stands be sure to send this link to your friendly neighborhood comic shop and tell them to order it from November previews! Be sure to like us on Facebook, follow us on Twitter, and tell your friends to pick up a copy of the book!